Tens years ago, 90% of our business was custom FoxPro Programming. Today, it is less than 1%. 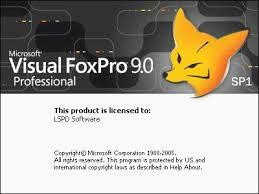 FoxPro was and still is a great application development platform that was used by much of the world at one point. Microsoft bought FoxPro and immediately tried to kill it. That was over 20 years ago. It's not dead but, since there aren't many FoxPro programmers out there, we don't support it simply for that reason. One of our qualifications for working with a programming language is for it to be popular so we can find the necessary help to support it. Although we will not write any new code in FoxPro, we will convert your application to a more modern day Microsoft .Net program written in C# and using SQL Server as the native database.